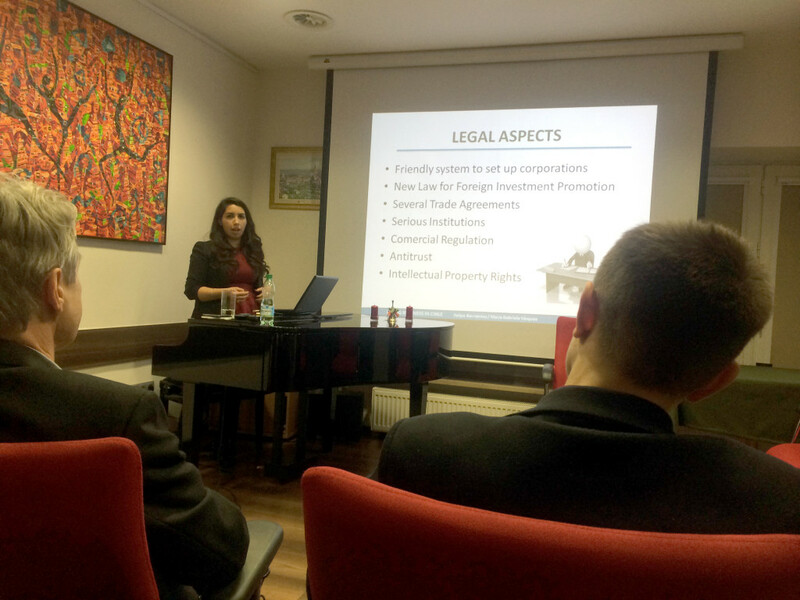 A lecture entitled “Doing business in Chile: Legal aspects” was held on 3 February 2016 at the headquarters of the Warsaw Bar Association at pl. Konstytucji 5. The event was led by María Gabriela Vásquez Moncayo from Warsaw Latin Convention. The presentation “Doing business in Chile: Legal aspects” was one of the events held as part of the Warsaw Latin Convention, a study visit by Chilean lawyers and law students under the patronage of the Warsaw Bar Association. The speaker and audience were greeted by attorney-at-law Piotr Płachta, chair of the Foreign Affairs Committee of the Warsaw Bar Association. In her introduction, María Gabriela Vásquez Moncayo gave an overview of the economic situation in Chile and regulations governing foreign trade and investment. Then she discussed issues connected with corporate law, commercial law and tax law. She described the types of companies functioning under Chilean law and the foundations of the tax system, and also presented recent reforms in this area. After her presentation, Vásquez Moncayo answered a number of questions concerning such issues as the liability of corporate management board members, the possibility of establishing companies online, and pharmaceutical law. Other questions involved general conditions for doing business in Chile. The conference was organized in cooperation with the Warsaw Latin Convention.